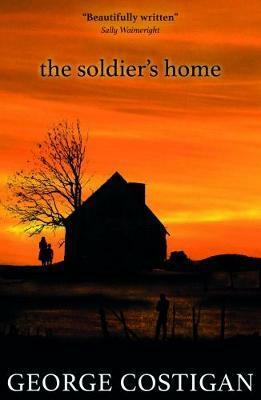 The Soldier's Home is the stunning sequel to the bestselling debut, The Single Soldier, by actor and writer George Costigan. The war is over and his home was built ... but a home is just a set of empty rooms without people and love. After surviving the devastation, secrets, lies and tragedies of a community under German occupation, can people now rekindle their lives, and rediscover their reasons for suriviving? As the soldier waits for the return of his love, the world keeps moving, threatening to leave his hopes and dreams behind. History, secrets and painful truths collide in this astonishingly human, warm and emotive sequel from writer George Costigan. George Costigan's acting career has included working with Sally Wainwright, Willy Russell, Alan Clarke and Clint Eastwood. He has directed Daniel Day-Lewis and Pete Postlethwaite, and his writing for the stage includes several Liverpool Everyman pub shows and 'Trust Byron', for which he was nominated for Best Actor at the 1990 Edinburgh Festival. He and Julia North have three sons and one grandson.